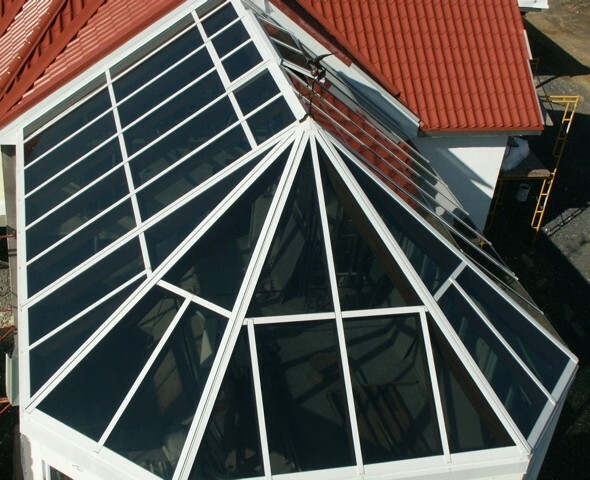 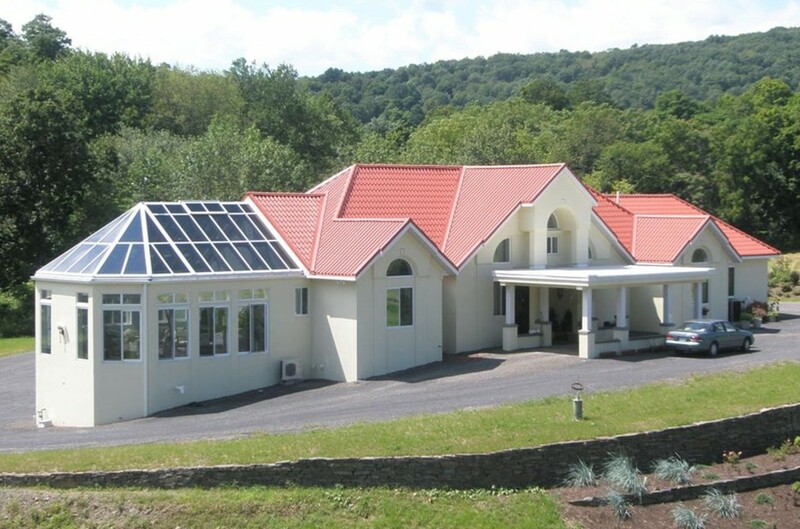 An octagonal-ended conservatory glass roof system designed for an endless pool enclosure. Aligned with super insulated custom walls for a pleasant year round pool environment. 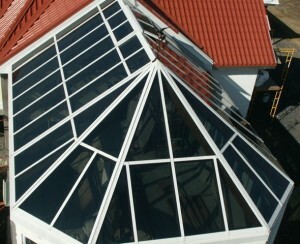 Fabricated with Mahogany framing throughout with motorized roof vents and solar control glass.